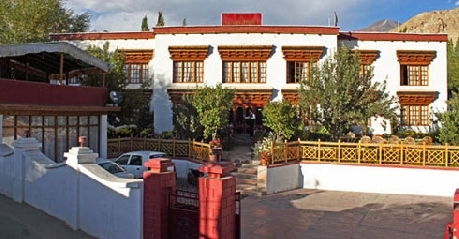 Amidst well maintained lush green lawns punctuated by poplar trees stands what is unarguably one of the best of all the A Class Hotels in Leh - Hotel Lotus. The hotel building is an impressive modern structure that is well equipped to meet the needs and tastes of weary travelers. 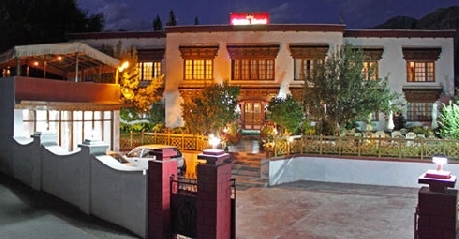 It is preferred by many also because of its advantageous location near the market place of Leh. 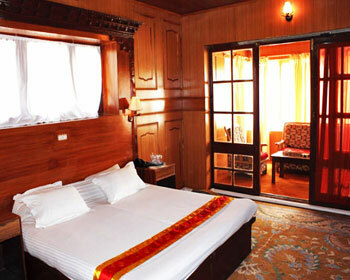 All the rooms have a beautiful décor with warm hues and modern furnishings to make the guests comfortable and at home. 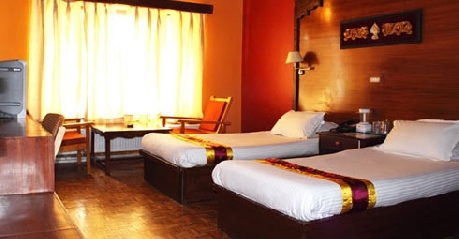 The amenities offered in each room are satellite television, STD / ISD direct dial telephone facility, central heating during winters, round the clock room service and attached bathrooms with running hot and cold water supply, shower and complimentary bath toiletries. Extra beds are available on request for a surcharge. 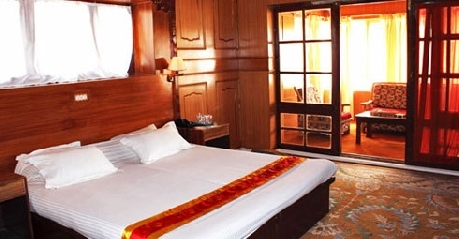 Replete with state-of-the-art amenities and services, the suite is lavish with traditional décor and elegant wooden furnishings. 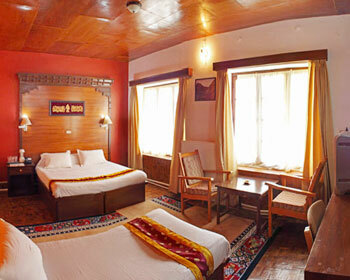 The bright hues and cozy interiors exude warmth and comfort. The amenities include central heating for winters, television with satellite channels and STD / ISD direct dial facility on phone. The private bath is well appointed with shower, running hot / cold water and complimentary bath accessories. 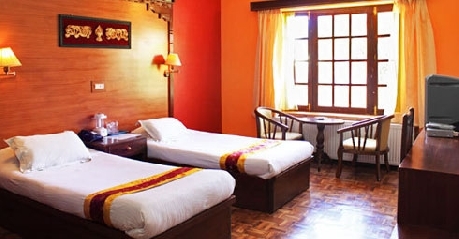 Guests can avail extra beds for a surcharge. Round the clock room service is provided. The in house restaurant features a multi cuisine menu that serves palatable cuisines including Indian, Continental and Chinese fare. 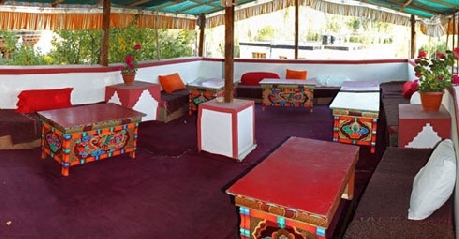 The traditional Ladakhi food prepared with local spices and home grown ingredients takes you on a culinary tour of the region. The live kitchen personalizes the dining experience where you can see and enjoy the talented chefs on work while you savor your meals. The hotel also provides terrace and garden dining options where diners can enjoy their food in the beautiful plush green landscape.